There really is no "good" medical condition to be born with. But at least if you suffer from something that afflicts a large segment of the population, you can be reasonably sure that doctors will be able to properly diagnose you, and provide you with the best currently available treatments. Plus you can have hope that treatments will improve, as something that affects a large number of people represents a large customer base for medical companies, making it worth the investment in research. 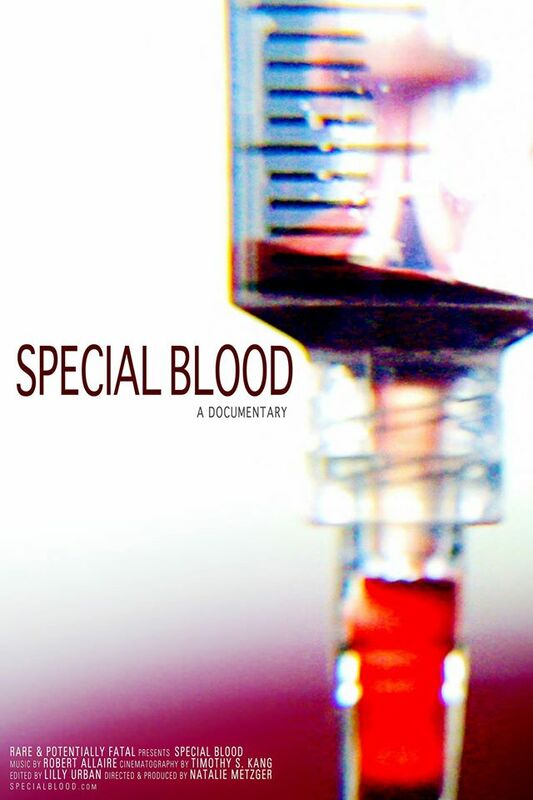 That's not the case for those who have Hereditary angioedema, the subject of the hour-long documentary SPECIAL BLOOD. HAE, as it is commonly abbreviated, is a rare (it affects approximately 1 in 50,000) condition that causes uncontrolled swelling in various parts of the body, particularly the feet, hands, stomach, face, and throat. It untreated, these episodes can lead to severe health consequences, even death. Even when those having an attack get to a medical facility right away, they are often misdiagnosed, as the condition is so rare most doctors don't know much about it, or just assume a more common ailment with similar symptoms is the issue. SPECIAL BLOOD director Natalie Metzger has HAE herself, but aside from a few autobiographical moments, she focuses her attention on a group of young people dealing with the disease, and the parents of HAE sufferers who died as a result of the disease. The film is both heartbreaking and heartwarming at times, as we alternate between admiration for these people who refuse to let a medical condition define their lives, while at the same time having to face the fact that sometimes, a positive attitude alone only goes so far. From a filmmaking standpoint, SPECIAL BLOOD is your typical talking heads documentary. What makes is somewhat more compelling than usual is the emotional connection it makes with its subjects. Granted, it's hard not to feel for kids dealing with such an awful condition, but it would also have been easy to play this as a manipulative sob story, and Metzger never does that. Instead, her subjects come across as strong people who got a raw deal, but aren't letting it keep them down. 3 out of 4 stars.